When he goes, small, focused on himself, crawling through the streets of his cities, teeming with sterile agitation, one could hate him. When he believes only in himself, in the present moment which is so little, and he wanders, lost in his own life, one could pity him. 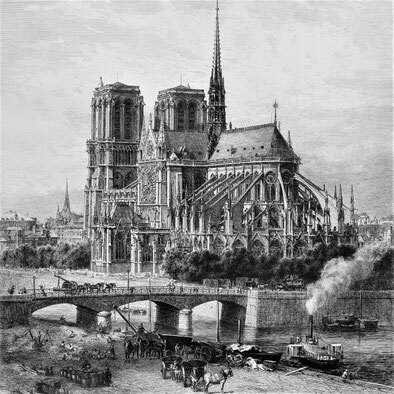 But when he raises his head to heaven to seek to elevate himself and builds Notre-Dame de Paris so that it dominates, from all the superiority of his heavenly thought, the things and interests of the earth, then we can admire him.